Five gentlemen from around the globe have gathered to enjoy and indulge in what they love - that is faithfully recreating the sights, sounds and styles of the popular classic hits, and mixing that with the best of contemporary music. The Retronomes have wowed audiences across Australia with their legendary Tribute Shows and bring the highest level of professionalism to every venue. This award winning ensemble features musical performances delivered with uncanny exuberance - a musical feast of grooves, licks, and driving rhythms that make the band’s music so undeniably dynamic. With their repertoire of hit songs and elements from all of their successful tribute shows, the Retronomes can musically cater for any event large or small - the Retronomes can rock your socks off or slip into the background as the situation requires. 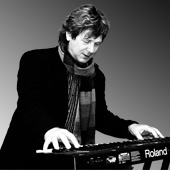 Jon Callander is the founding member and fountainhead of The Retronomes. 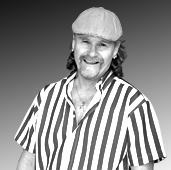 Melbourne born and raised, Jon started the group after arriving on the Gold Coast and creating the award winning Beach Boyz Show in the late 1990's, based on his desire to bring Australian audiences both a visual and audible musical presentation of one of the most important vocal groups of all time - The Beach Boys. Under Jon's guidance and since it's inception, The Retronomes and their shows have continued to flourish uninterrupted and entertain audiences throughout Australia. Jon has a great ear for music and harmonies in particular. He has arranged those tricky close vocal harmonies of the Beach Boys to the standard of Brian Wilson. Also a master of the falsetto, Jon can often be found up there in the "crows-nest"...vocally speaking! Gary is a New Zealander with a difference...and a VOICE!! He consistently delivers with his fabulous vocal performances and the folks love it when he "moves like Jagger'. 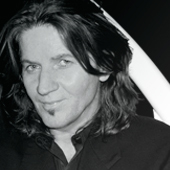 Gary lives and breaths music and has performed on stage and on National Television in N.Z with groups such as Moving Pictures, Real Life and Icehouse. After moving to Melbourne Australia his credits include performances on Countdown, the Myer Music Bowl and the legendary Melbourne Billboard Nightclub. His vocal talents have been recognized and produced by Beeb Birtles (Little River Band) and Jeremy Alsop (Men At Work) and Gary's voice has been heard and featured on the Miss Universe contest....but now...he is a Retronome! Lee Carroll was born and raised in Los Angeles. As a son of a classical pianist, music was always a big part of his life but the bass guitar became his passion in the vibrant music scene of Southern California. Lee played on many national tours in the United States and has shared the stage and worked in the studio with the likes of Leon Russell, Boz Scaggs, Waylon Jennings and the David Bowie band. Lee was drawn to Australia from a young age and after a handful of splendid holidays moved here permanently and hasn't looked back.. Lee has been laying down the low notes in The Retronomes for over a decade and is most happy he found a group of like minded musicians to continue the sonic journey which has been his life's pursuit. 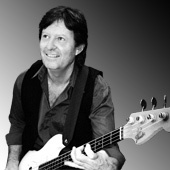 Mario "Marz" Merlini was born into a family of professional traveling musicians and from a young age he experienced the cultures of Asia, Europe, Africa, So. America and the Caribbean. After living in both Italy and the Bahamas, Mario and his family returned to Australia where he began playing drums professionally. His talents behind the drums and vocally has seen him on many stages playing supports for blues legend Taj Mahal, Midnight oil, Sharon O'Niell, Moving Pictures and Margaret Urlich and working on album projects with Peter Andre. Mario is also an award winning song writer and vocalist and has performed live on ABC TV, CH 7, CH9 and MTV Australia - to an audience of over 2 million people live on MTV at the Budokan in Tokyo Japan in ' 91. Scott originally hails from California but fell in love with Australia while touring here playing keyboards for Boz Scagg's international tour. 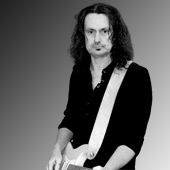 He has also toured extensively with the blues legend Albert Collins and guitarist Steve Lukather (Toto). Scott is also a passionate writer and composer, producing songs and special material for Paramount Pictures films like 'Witness' and 'Top Gun'. Discovery Channel fans might have noticed Scott's "original music by" credit on numerous episodes of Steve Irwin's 'Crocodile Hunter' shows. Scott also produces in-game music for developers including Accolade, Crystal Dynamics, EA Kids (Electronic Arts), The Learning Company, Knowledge Adventure, Humongous Entertainment, 5th World Media, and recently for the indie game hit Terraria, which was ported to Xbox and Sony PlayStation last year.